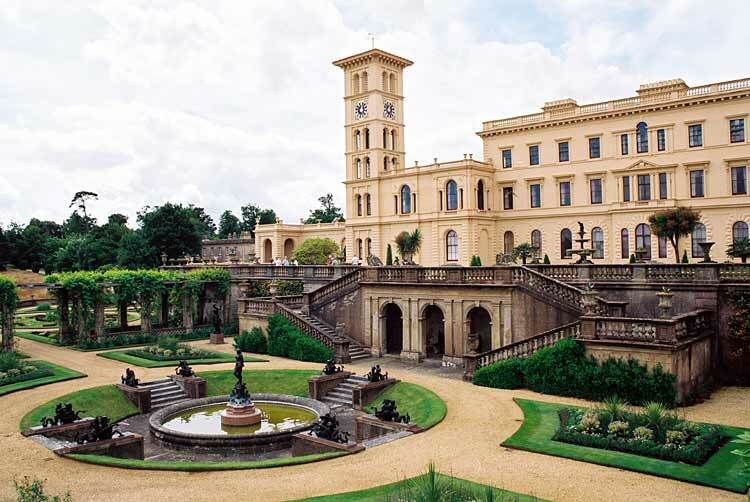 One of the many achievements of Queen Victoria’s consort, Prince Albert, was the creation of Osborne House on the Isle of Wight. Eager to find healthy sea air for their children air and, tired of being gaped at at the rundown Brighton Pavilion, Queen Victoria and Prince Albert fell in love with island and, with the architect, Thomas Cubitt, the Prince began the design of the house in 1854. By the time of the completion of the main wing in 1851, the place had become a real family home and lovely seaside retreat. Unlike many princes of his era, Prince Albert took a great personal interest in his children’s upbringing and education, and it was here, at Osborne, that he provided each of them with a small garden in which they were to plant flowers and vegetables, which he would then purchase from them at market prices. 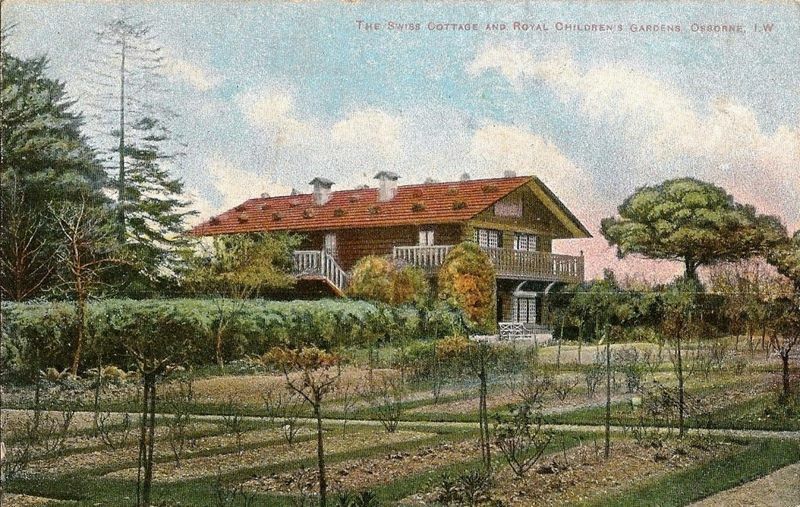 Today, the gardens, labelled with the names of the nine children and complete with their tiny wheelbarrows and garden tools, are still intact in front of the Swiss Cottage – a specially imported wooden house, fitted with miniature kitchen implements and equipment, in which the royal children learned to cook. Osborne House is ne of the most beautiful stately homes I have ever visited, not only for its wonderful views across the Solent and its interesting and unusual artefacts (including Queen Victoria’s bathing machine, but primarily for its wonderful atmosphere of joyful children. It is true that this was a place where several sad events took place (the Queen’s second daughter, Princess Alice – mother of the last Tsarina of Russia – was married in the dining room of the house only a few months after her father’s death and the occasion was so sad the the bride and even the archbishop were in tears! And Queen Victoria herself died here); it is equally true that one of the Queen’s children, King Edward VII, so disliked his memories of the place that on his accession he gave it to the nation, but the sense of the place is, to me, almost mystical in it joyfulness. From the beautiful sea views to the scents of the walled garden, and from the art-lined corridors to the nurseries, this is house which really captures the spirit of Prince Albert, the aesthete and family man.